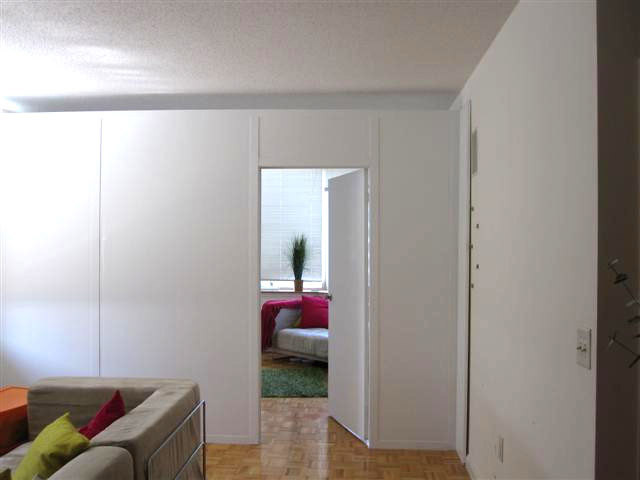 Our Loft Wall provides optimal privacy without the confined feeling of being in a small space. It is designed to reach a height below the ceiling to permit the flow of air and allow light to enter. We can adapt The Loft Wall to fit any space or layout, including L- and T-shaped walls. The unit comes with a door and functions exactly as a permanent wall. 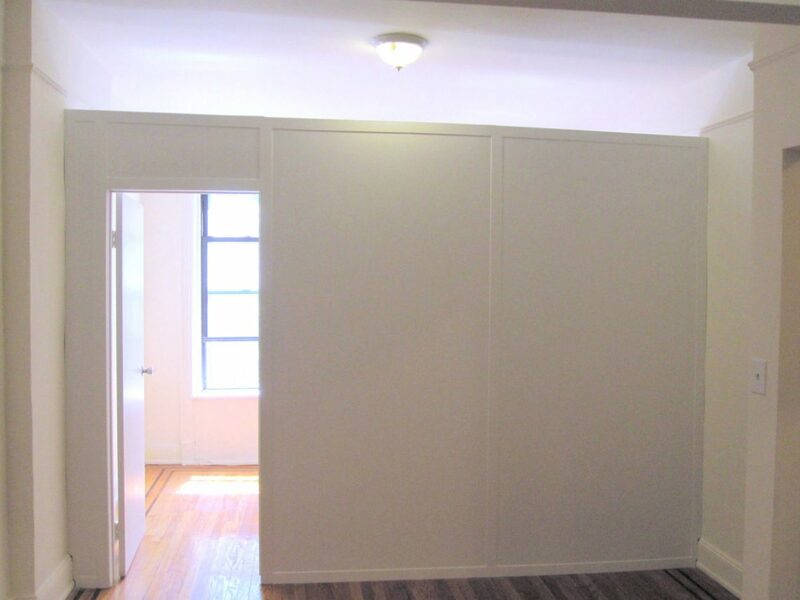 It is ideal for apartments or other leased spaces as it can be used to create a new bedroom or a separate office. The Loft Wall is temporary and can be leased for up to three years. It will be removed free of charge.